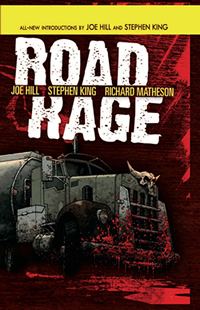 Note: Stephen King and Joe Hill have contributed only to Road Rage #1 and #2. Therefore the IPT will only track those two issues. 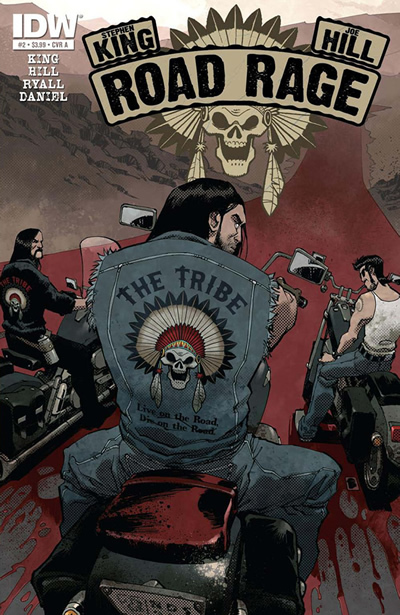 The Tribe is more than a motorcycle club – it’s a family. 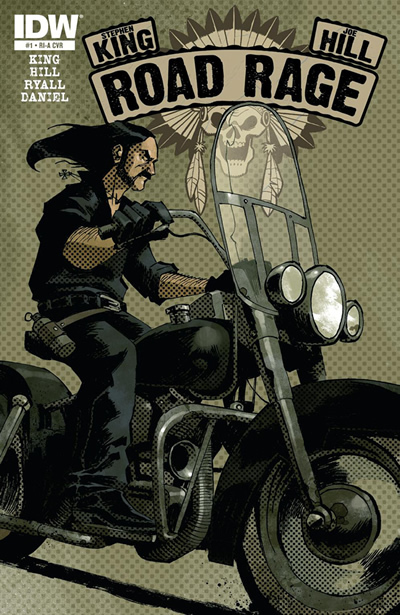 Literally, since club leader Vince rides alongside his son Race, as well as fellow Viet Nam vet Lemmy and a passle of others. 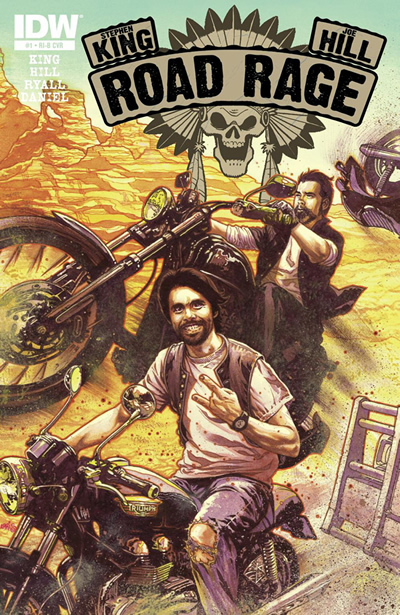 They’ve been together a long time, these two generations of riders. 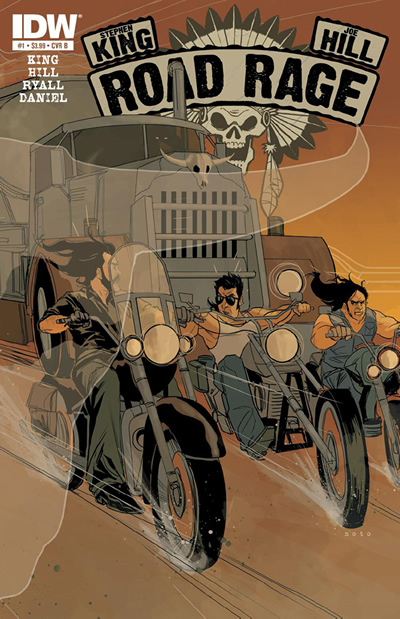 But never before have they seen the kind of trouble they’re about to run up against. War is easy—lines are drawn, sides are chosen. 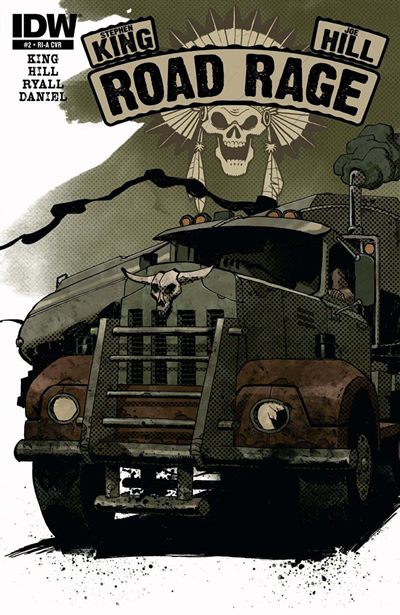 But when the club is attacked on a lonely highway road by a trucker with unknown but quite murderous intent, their hard-scrabble existence becomes one of pure survival. And not all of ‘em are going to make it through. In Throttle, Stephen King collaborated for the first time with his son, novelist & Eisner Award-winning comic book writer Joe Hill, to bring the Tribe to life in their prose tribute to Richard Matheson’s Duel. 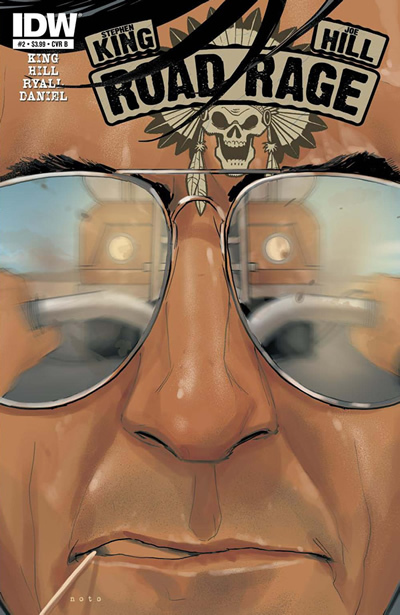 And now King and Hill are collaborating with IDW Publishing, home of Joe Hill’s acclaimed comic-book series Locke & Key and The Cape, to bring the story to vivid four-color life in the form of Road Rage. 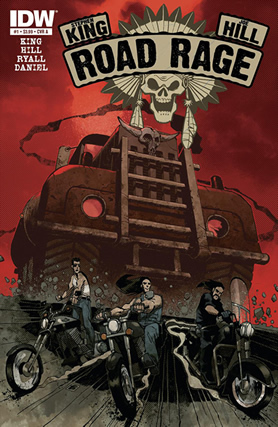 Road Rage: Throttle Hardcover is now available in Comic Shops and will be available at major retailers nationwide on August 21st. 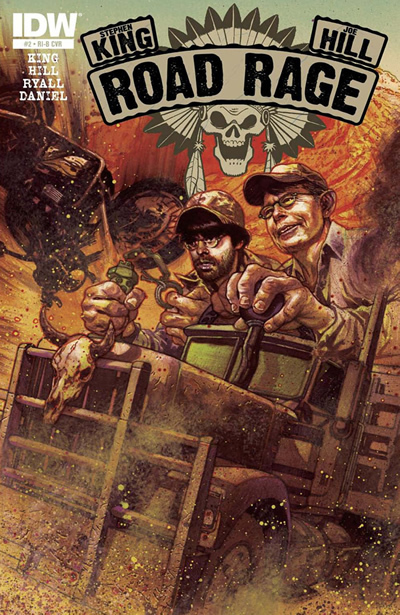 Please Note: The second printing of issue #1 is now available.